This Dubspot Top Picks guide features a selection of our favorite reverb plugins based on professional quality sound, features, and expertly designed emulations. The AMS RMX16 was the world’s first microprocessor-controlled, full-bandwidth, digital reverberator. Heard on hundreds — if not thousands — of seminal recordings from the 1980s onward, the RMX16 is still found in nearly every major recording studio the world over. Thanks to the innovators at Universal Audio and AMS Neve, the unique and lush reverb programs of the original unit are expertly captured in the only authentic emulation of the AMS RMX16 Digital Reverb plugin which is designed exclusively for UAD-2 hardware and Apollo interfaces. With the merging of analog heritage and groundbreaking digital designs you can now enhance your mixes with all nine classic sounds of the original RMX16 which are Ambience, Room, two Hall types, Plate, Echo, Chorus, NonLin, and Reverse. Better yet, you also get an addition of modern features such as dry/wet mix, wet solo, and easy “click-and-type” editing of control values not available on the hardware model. Valhalla VintageVerb is a postmodern reverb plugin, inspired by the classic hardware digital reverbs of the 1970s and 1980s. This widely popular reverb not only sounds great but is the most affordable on this list. This diverse plugin offers fifteen reverb algorithms and three color modes for dialing in the tone color and sonic artifacts of a specific reverb era. In addition, the interface has been designed to be instantly accessible and user-friendly. This is a set of four legendary reverb plates modeled after the hardware units housed at Abbey Road Studios. Introduced in the 1950s, plate reverbs have been a fixture of recorded music ever since. This type of reverb was famously used most prominently in the ‘60s and ‘70s by pioneering bands, including the Beatles, Pink Floyd, and countless others. Waves has successfully created meticulous models of these stunning and unique-sounding units, individually modeling the harmonic distortion of both the drive and output amps as well as the individual plate/damper behaviors. For over 40 years Lexicon has been recognized as the gold standard of digital reverb and effects processing. The PCM Native Reverb Plug-In Bundle is the ultimate reverb plugin for creating professional, inspirational mixes. This powerhouse bundle delivers seven legendary Lexicon reverbs with hundreds of the most versatile and finely-crafted studio presets, including recognizable classics from Lexicon’s immense library of sounds. The user interface displays nine helpful parameters for customization and also enables you to transition deeper into the algorithm to edit the full matrix of parameters. The most noticeable display features are the Input and Output Meters, graphical EQ section for easy adjustment of both early and late reflections, and a multi-dimensional real-time display. There are also three screens to choose from, all showing different frequency stages of the algorithm to help you shape your sound. Toraverb is not a classic type reverb unit like spring, room, hall or plate. 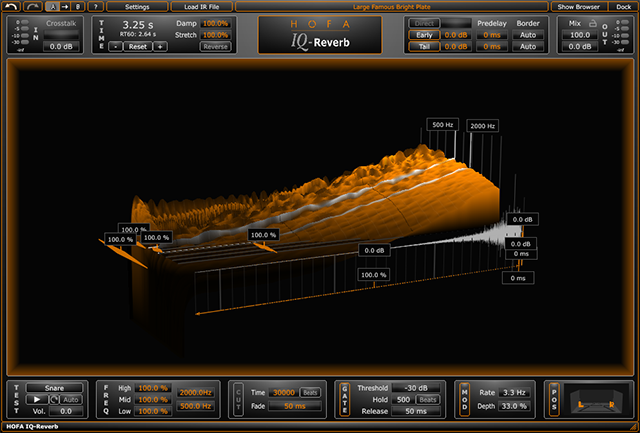 It is a concept algorithm reverb that allows the user to create practically any type of reverb. This highly very versatile reverb unit features modulation which affects the diffusing filters making the reverb tails smooth and a more realistic, separate equalization for early and late reflections, and an innovative spatial reflection algorithm to give a better impression of physical space. The high sound quality, flexible sound shaping capabilities, affordability, and ease of use is certainly appreciated in this plugin. The TSAR-1 Reverb is also not an emulation. The powerful, modern reverb algorithm of the TSAR-1 is capable of delivering some serious sound that is natural and believable. The TSAR-1 has been designed with ease of use in mind. The user interface features five sliders, and a selection of switched options in addition to a solid bank of expertly crafted presets categorized into a “modern” and a “vintage” set. The EMT® 250 Classic Electronic Reverb plugin for UAD-2 and Apollo interfaces is a faithful emulation of the first digital reverb/modulation effects unit introduced in 1976. Still regarded as one of the best-sounding reverb units ever made, the EMT 250 continues to leave an immeasurable mark on record-making history in the hands of studio legends and has appeared on countless records. 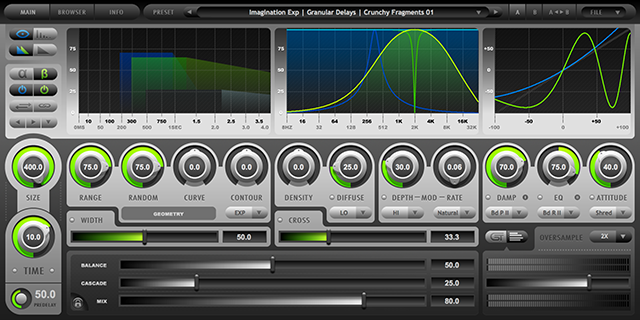 Designed in conjunction with EMT 250 designer Dr. Barry Blesser, the UAD plugin version uses the same algorithm found in the original, extremely rare, hardware. In addition, the EMT 250 goes beyond the original hardware, adding modern, workflow enhancing features like Dry/Wet Mix, Wet Solo, and Hard bypass. Altiverb 7 has become an industry standard convolution reverb plugin. It features top quality samples of real spaces. Audio Ease has been traveling the world to record the acoustics of the very best sounding spaces ranging from Sydney Opera House to the cockpit of a Jumbo Jet. The IR browser features an immersive Impulse Response library that allows users to select impulse responses by clicking photos of rooms in addition to a keyword search field. Altiverb 7 is also efficient on the CPU and offers a set of sound shaping parameters to tweak the reverb to taste. In addition, every month Altiverb 7 users receive new impulse responses for free. B2 is a modular dual-engine, non-linear spatial processor featuring built-in harmonic distortion and flexible dynamics. It is a more advanced reverb plugin capable of both mind-bending creative effects that defy classification as well as stunningly lush reverbs. Its modular design enables an almost infinite variety of sonic possibilities. This sophisticated processor features a modular design that gives limitless configurations and slew of sound shaping features for creating unique sounds. If you’re looking for a more creative reverb, then check out the B2. The IQ-Reverb combines innovative convolution technology with vintage features of classical reverb processors from the golden age. The IQ-Reverb’s centerpiece is its intuitive 3D display that sports a host of sound shaping controls and editing capabilities. 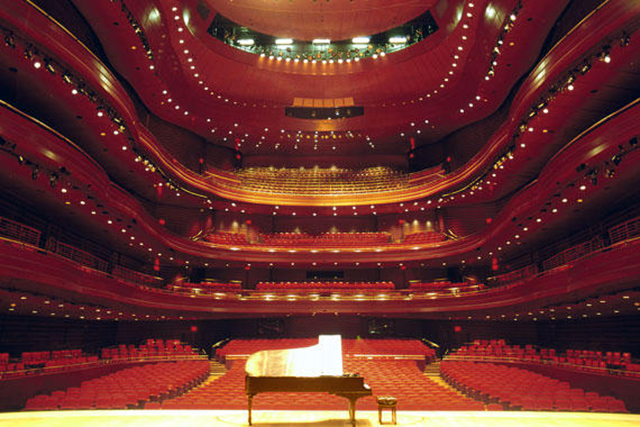 Some notable features are reverse reverb, modulation options, ability to position sound sources in virtual space, layered reverb combinations, and an extensive IR and preset library for a wide range of spaces. The IQ-Reverb is capable of delivering complex soundscapes with a wide variety of reverbs and impressive spatial depth due to its many innovative options.